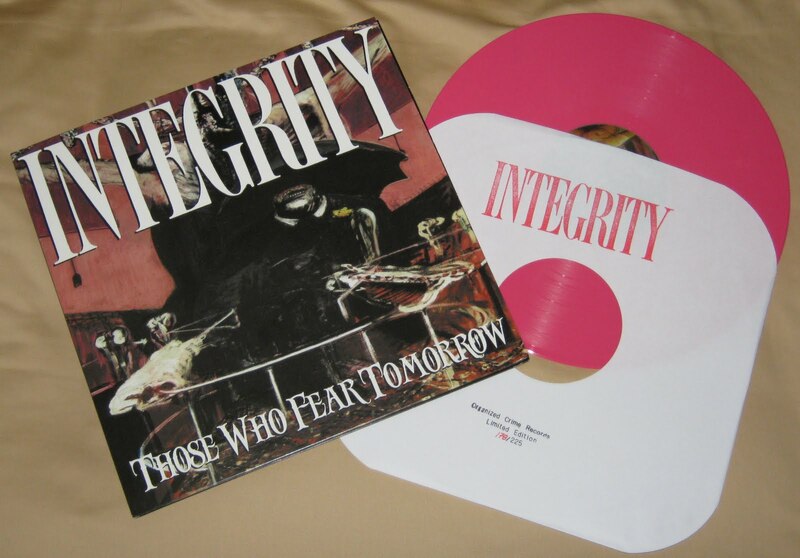 Integrity's Those Who Fear Tomorrow from 93 got repressed by Organized Crime Records I still can't believe I got the most limited version considering I ordered way late, and there was only 200 pressed. This is the rarest one correct? Well either way I'm pretty happy. CSM did an excellent job on this release. The gatefold has this cool painting on the inside. Was this on the original? Never had the original pressing of this thing. This is my favorite Integrity record. No doubt about it. I don't think I can get into the new Integrity. But this record I've been playing for 15 years. Never gets old. Good way to get the juices flowing at work. Gets me in the mood to yell at people. Love that. The painting is by Hieronymus Bosch. The CD-version on Dark Empire also had Hieronymus Bosch works on the cover, not sure about any other vinyl versions. Nice to see what the Organized Crime RECORDS-version looks like. organized crime records! right hahaha crime scene is just their webstore. nice catch thanks a lot!